D. Kapuaala Sproat. Courtesy UH Manoa. 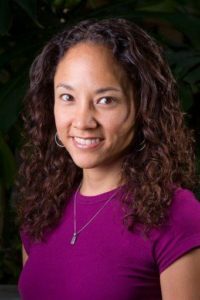 The University of Hawai‘i at Mānoa announces that Associate Professor D. Kapua‘ala Sproat has been named director of the Ka Huli Ao Center for Excellence in Native Hawaiian Law at the William S. Richardson School of Law at the University of Hawaiʻi at Mānoa. Associate Faculty Specialist Susan K. Serrano will become associate director. Sproat’s main areas of expertise focus on Native Hawaiian law, indigenous rights and natural resource protection and management. She is an authority on Hawai‘i water rights and has played a major role at the law school in the Environmental Law Program, as well as in Ka Huli Ao. In 2014 she received a Board of Regents’ Excellence in Teaching Award recognizing her exceptional teaching record and many contributions to UH and the community. Sproat succeeds Ka Huli Ao founder Professor Melody MacKenzie, who will be working on an update to her 1,400-page treatise, Native Hawaiian Law: A Treatise, as well as several other projects along with teaching duties. The treatise, edited and written by MacKenzie in collaboration with Sproat and Serrano, took 15 years to complete and offers a comprehensive overview as well as historical background for Native Hawaiian law as it relates to U.S. and international law. Sproat was born and raised on Kaua‘i’s North Shore in Kalihiwai, and is a member of the Akana and Sproat ʻohana on Kaua‘i and Kohala on Hawai‘i Island. 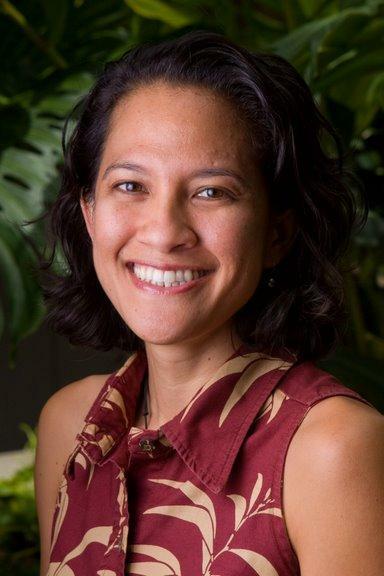 Serrano, in addition to teaching legal practice and Second Year Seminar, oversees several Ka Huli Ao projects, including its research and scholarship program; Post-JD Research Fellowship Program; and communications, including the center’s e-newsletter. Before joining the UH law school, Serrano was a special projects attorney at the Asian Law Caucus in San Francisco. Vice Adm. Richard A. Brown relieved Vice Adm. Thomas S. Rowden as commander, Naval Surface Forces (SURFOR) and commander, Naval Surface Force U.S. Pacific Fleet, Jan. 18. Brown assumed command of SURFOR after having served as commander of Navy Personnel Command (NPC) and deputy chief of naval personnel. A native of Lowell, Mass., Brown graduated from the U.S. Naval Academy in 1985 with a Bachelor of Science in Mathematics. He holds a Master of Science in Operations Research from the Naval Post Graduate School and a Master of Arts in National Security and Strategic Studies from the Naval War College. With the mission of warfighting and winning at sea, commander, SURFOR provides Combatant Commanders with lethal, ready, well-trained, and logistically-supported Surface Forces to assure, deter and win at sea.